Hi guys! I hope you are all having a great day! 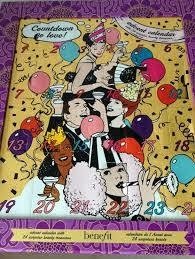 Today I am going to be talking about the Benefit Christmas Countdown event, and the absolutely gorgeous make-up sets they have for sale as Christmas gifts, I want them all! 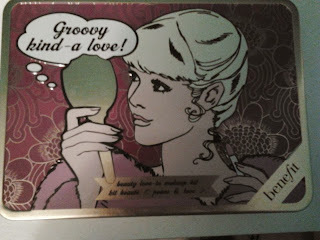 In sort of a second part of this blog, I'll also be reviewing the Groovy Kind-a-Love make-up kit, so stay tuned! 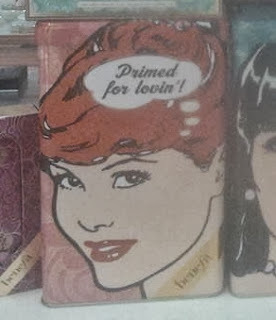 Last Friday, the Benefit counter in Menary's in Tullamore, held a Christmas countdown event to launch their gorgeous Christmas gifts they have for sale, which I adored. I hope to treat myself to another set for Christmas! 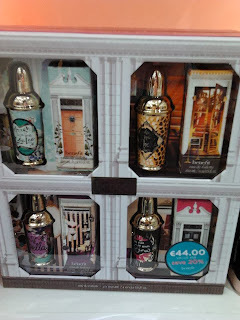 They had some lovely sets for sale such as: Cresent Row Limited edition set, which came with four of Benefits own perfumes, which are amazing! 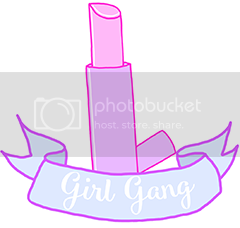 It came with the perfumes: Laugh With Me LeeLee, Ring My Bella, My Place Or Yours Gina, and my favourite, Under My Spell, Noelle. This costs €44. 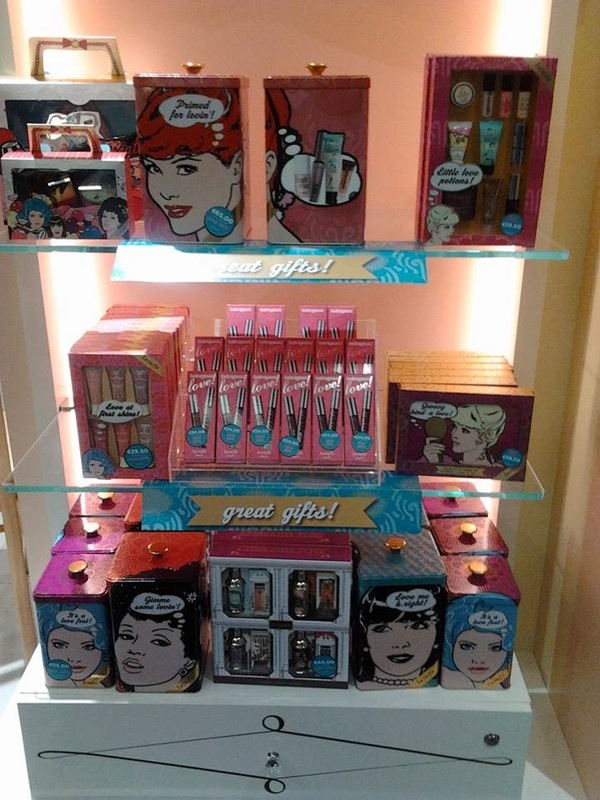 Love At First Shine is a set of Benefit's mini lipglosses, it's had shades from berry to a pink coral colour, and that costs €29.50. 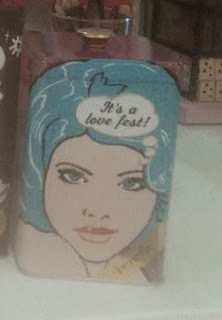 It's A Love Fest is a box set of some of Benefit's best products in the normal sizes, and it included: POREfessional primer, Sun Beam, They're Real! and Coralista, and that costs €55. 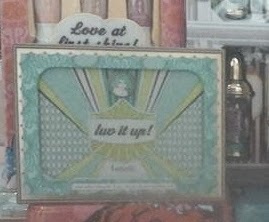 Luv It Up is another gorgeous set and included: three eyeshadows, a mini creaseless cream eyeshadow and ultra plush mini lipgloss and Dandelion face powder and this costs €29.50. 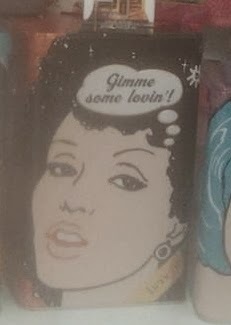 Gimme Some Lovin' came with: They're real, Hoola, They're Real, and the mini versions of High Beam and POREfessional, and that costs €44. 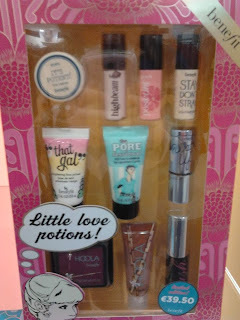 The next set is Little Love Potions, and I am dying to get my hands on this one! It comes with all mini versions of: POREfessional, It's Potent eye cream, High Beam, Posie Tint, Watts up, Stay Don't Stray, Bad Gal Lash, That Gal, Hoola and an Ultra Plush lip gloss and this amazing little set comes up to €39.50. Groovy-Kind-A-Love (Which I am loving) came with: four eyeshadows, mini POREfessional, Benetint, They're Real! and a combo of Bella Bamba and Dandelion blushes. This costs €39.50. 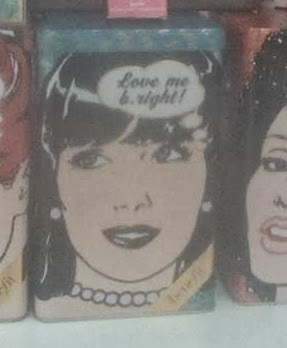 Love Me B.bright is a set of their skincare stuff, and it came with: It's Potent eye cream, Triple Performing Face Emulsion, Total Moisture Facial Cream mini and a mini POREfessional, and I have my eye on this set too, as I love investing in skincare, and this came up to €55. Badrageous Love is a smaller set and it's BadGal lash with a mini version of BadGal, and this costs €24. 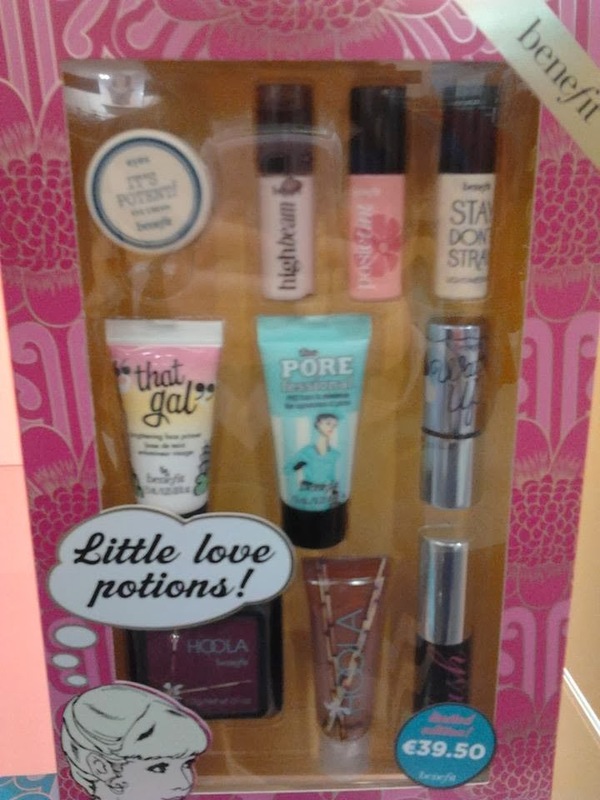 Now lastly, Primed For Lovin' includes: POREfessional, They're Real, High Beam, an Ultra Plush lip gloss and a mini Sugar bomb, and this set comes up to €65. I have to say, I absolutely love all of the Benefit Christmas sets, the packaging and tins are undoubtedly beautiful. Though, in my own personal opinion, Benefit is a very expensive brand, and I can rarely afford to buy much from them, unfortunately, I would if I could. It's hard to justify the price to be quite honest. Christmas may be the only exception, though, maybe. These sets would make amazing sets for your friends, mother, aunt, sister, or girlfriend. They won't be a gift that goes unappreciated at all! Now, on to the event. The two Benebabes holding the event, Kathleen and Eimear, were absolutely lovely! They were friendly, enthusiastic, and really knew their stuff! They used two people as models to demonstrate how to use loads of Benefit products to do a daytime and nighttime look. They used all Benefit products, but I was completely impressed with the Hello Flawless Oxygen Wow, it made the models skin so flawless and perfect looking, it's been added to my ever growing Benefit wishlist! They had some nice food and sparkling water and sparkling wine also which hey, who doesn't love food? ;) then we got to have a look around of all the Benefit products and sets for sale. 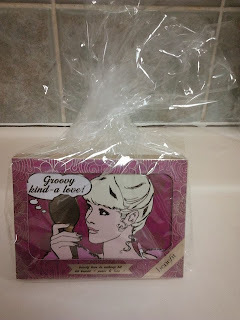 At the start, we all got free raffle tickets to win the Groovy-Kind-A-Love Christmas set, which I won! :D I was absolutely delighted! Especially as I was eye it up before the raffle! I will be reviewing the set in the next few days, so stay tuned!